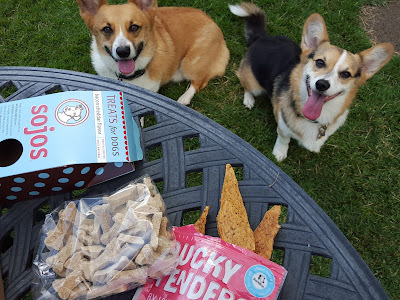 Pint-sized and Simple: BarkBox Review - January 2016 + Get A Free Box!! 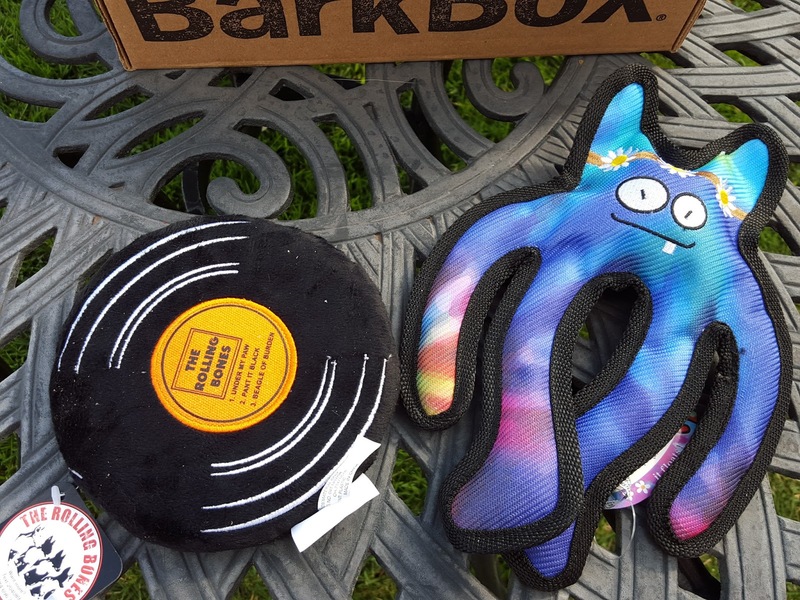 BarkBox Review - January 2016 + Get A Free Box!! 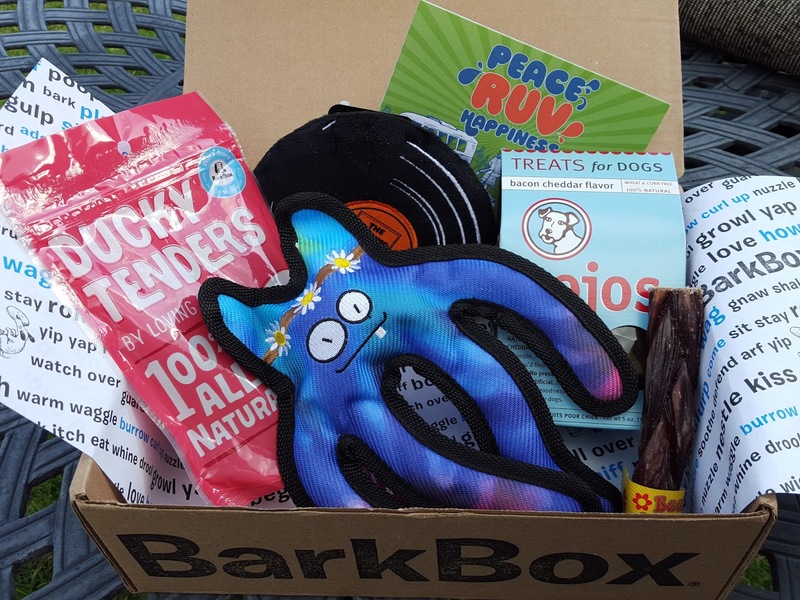 What: BarkBox is a subscription box for dogs filled with 4-6 treat, toy, and sometimes hygiene items. Boxes are curated according to your dog's size. For dogs with strong jaws, you can also opt for a box with durable toys; just send BarkBox an email to let them know you'd like the heavy chewer option. For reference, this review is for a heavy chewer medium-dog box. 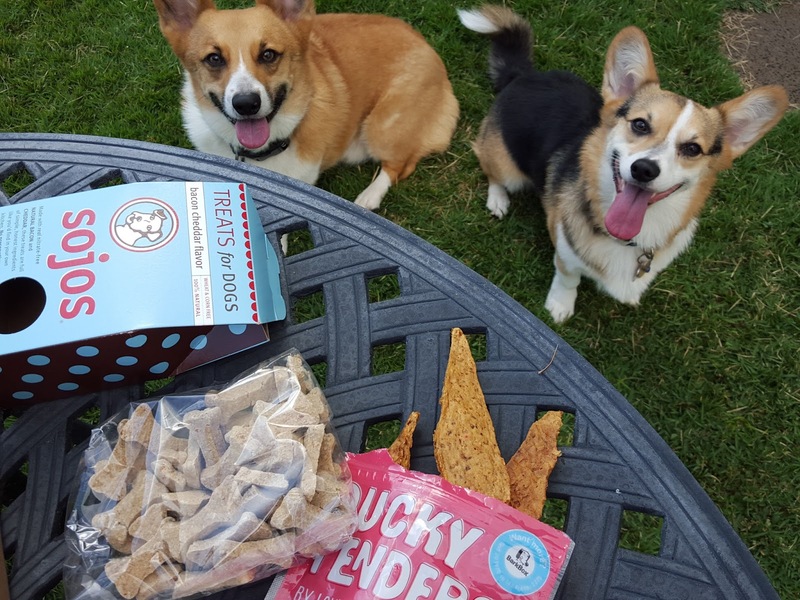 Fun Fact: 10% of proceeds from each BarkBox goes to rescue groups! Check out their BarkGood program to get involved. 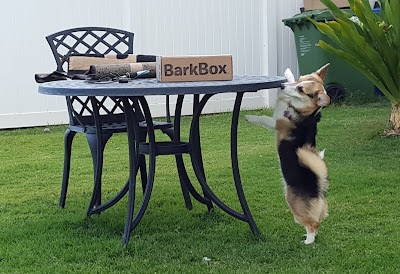 The first BarkBox of the year couldn't have come at a better time. At our house, new year = new dog toys because my little monsters' main goal in life is to utterly destroy every toy they come in contact with. Especially the little one, shown below impatiently awaiting her next toy victim. I'm so glad that BarkBox offers an option for heavy chewers. Based on what I've seen last month, it looks like the durable toys we got were actually the same ones sent out with the regular medium dog boxes. Let's see if this month is the same. Each box comes with a theme, and January's theme is "Peace, Ruv, Happiness" and contains goodies reminiscent of the hippie days. Think!Dog The Rolling Bones Record toy (Value: $10) - I find it cute how dog toy companies like to make a corny play on existing words to create dog-themed toys (a Drool Moon beer toy? Love it!). This is a stuffing-free plush toy with a huge honking squeaker inside. When I squeaked it Macho was uninterested (which is totally uncharacteristic of him) but Pebbles went from across the yard to on top of my lap in under three seconds. Loopies Hippie Chick (Value: $15) - At first I thought this was an alien. I look at this toy and the word psychedelic comes to mind. I'm still trying to figure out how this is supposed to be a hippie chick, aside from the headband. I mean, where's her body?? Anywho, canvas toys are always welcome around here. Pebbles will still rip it apart, but it takes her a little longer to do so. But once she does, there's a rubber ball hiding in this chick's head! Sadly, it's too small for Pebbles' mouth. Beefy Braids Beef Gullet Chew (single chew value: $3) - Beef trachea, pizzles, bladder, and now esophagus? Add that to the beef knuckles, tendons, livers, and shin bones the dogs get on occasion, and they have tried almost every part of the cow. They really don't waste any of it, huh. That's a good thing. I do wish this came shrink wrapped or something - this chew smells horrible! 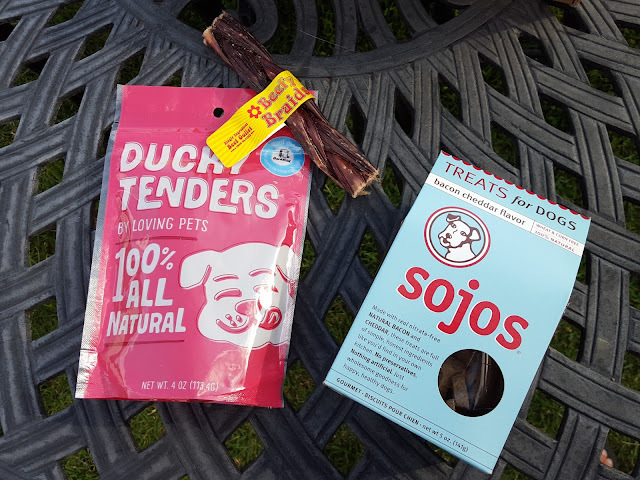 Loving Pets Ducky Tenders (4oz value: $8) - Smoked duck. I can't believe my dogs eat better than me. Imagine any protein dish a human can eat, there's probably a dog equivalent to it. Made in the USA and just 5 ingredients (all which I can pronounce! ), these jerky tenders are mommy-approved and will be gone in no time. Sojos Bacon Cheddar Biscuits (5oz value: $6) - Technically, I could eat these. These biscuits contain just rye flour, oats, bacon, cheese, canola oil, and eggs. Pebbles gets one at night for not barking at Macho when he walks past her to go in his kennel. She usually barks like crazy because she's jealous that he gets a tiny kennel while she gets to stay in a huge exercise pen even though she's smaller than him (she's weird like that), but dangling one of these in front of her seems to distract her. Go figure. Use referral code DOGSYAY to get a box for as low as $18/month -- plus get a free box tacked on to your subscription just for using my code! There's no expiration date and this offer is open to all new subscribers. Note: Post contains referral links. All opinions expressed in this post are my own.